You can do some experiments with your attire, hairstyle, makeup, jewels, and footwear on normal occasions. It will be okay to try some different combinations in normal events, but not on your wedding day. You must think about how you can get a timeless charm on this day. 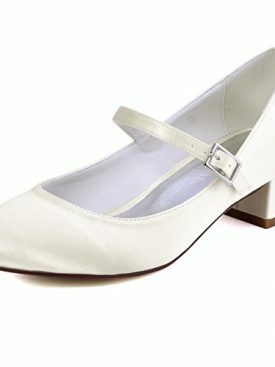 Although the modern attires and footwear offer many great options, the appeal of vintage wedding dresses and vintage wedding shoes is still unique. You must plan for a vintage themed wedding because thus the event will become more memorable for you, your partner, and all the guests who will celebrate with you. There are many vintage wedding theme ideas. The wedding planners can decorate the whole venue according to your demands and create an illusion of 1920’s or 50’s wedding. You will also need some preparation though. You will have to select the wedding dress and vintage shoes wisely. Your fashion designer can help you in finding a perfect wedding dress. 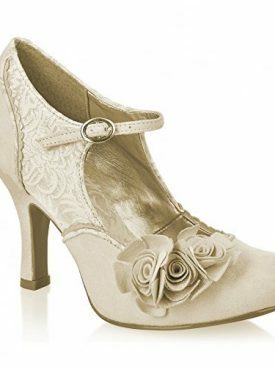 Here you can gain some essential details on vintage wedding shoes to choose a perfect pair of shoes to wear on this day. It would be quite puzzling. 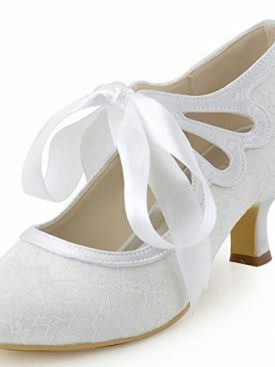 Indeed, it will be puzzling because there is a wide range of vintage wedding shoes. These shoes belong to different eras. You can get 1920s famous Great Gatsby style shoes or try the sophisticated Hollywood style shoes of the 30s. The rock n roll style shoes from the 50s would add more stars in your beauty. You will have to decide that whether you want the Victorian-inspired shoes or shoes from the recent past. It will be a bit easier, if you check the details endorsed below. The highly decorated wedding shoes from the 20s still look pretty unique and impressive. 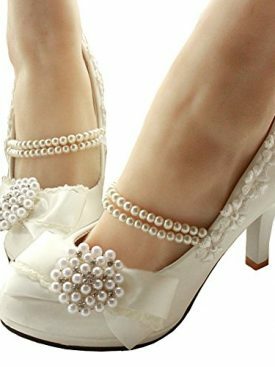 These are often endorsed as the cute “Dolly Shoes” and the strap that goes across the foot makes this shoe look more attractive. You can choose these shoes because it would be easier to wear them. 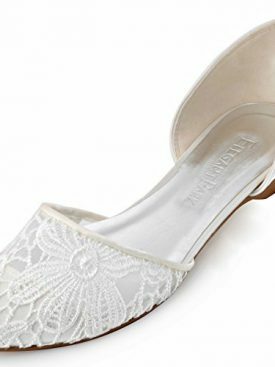 The strap will prevent you from slipping and impressive grip of the sole will help you in maintaining a great balance throughout the wedding ceremony. The wedding shoes after 1920 had become more sophisticated. The wedding dresses were quite long therefore, the brides didn’t want to invest in expensive designer shoes. 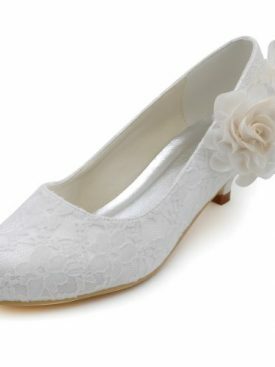 Thus, the sophisticated and feminine charm endorsing white shoes were in trend during this age. 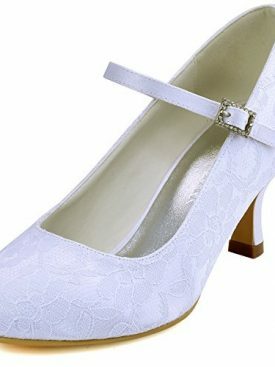 You can buy and use that ultra feminine style shoes from the 30s, if you are wearing a slinky dress on the wedding day. 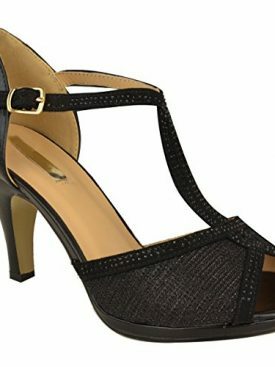 If you are trying to avoid those ankle-aching high-heels and still want to try something unique from the past, the mid-heel shoes from the 50s would be the best option. You will not face any problem in walking because your body weight will spread evenly on both feet. Add some 50s dress and would look perfect. The sling-back style was quite famous during the retro era and buying it would be a wise decision. Make sure, you will wear the retro style petticoats with the retro style shoes or try a dress from the 50s that can match perfectly with the shoes. 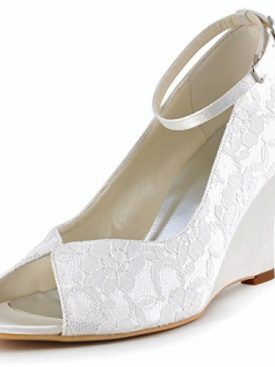 Most of the buyers simply don’t know what they should check while buying the vintage wedding shoes for the first time. It is about wearing the same pair of shoes for the whole day. You will be walking, dancing, and moving up and down on the stage. So, let’s consider a few factors before you choose the vintage wedding shoes. 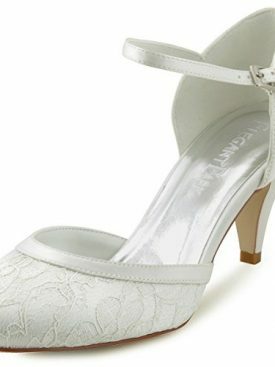 It is your wedding and the shoes should work to enhance your charm. The stylish shoes from the Victorian era and the 20s look quite decorated. Go for the 30’s shoes if you want something sophisticated. Not only shoes matters but also vintage style wedding dress. Are you comfortable with high-heels? Choose the retro style mid-heel shoes if you don’t want to wear shoes with high-heels all the day and during the evening event. 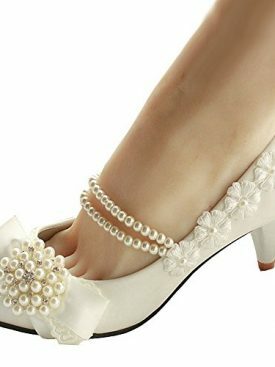 Do you want the shoes with strap or the shoes should be decorated with artificial flowers and other stuff. 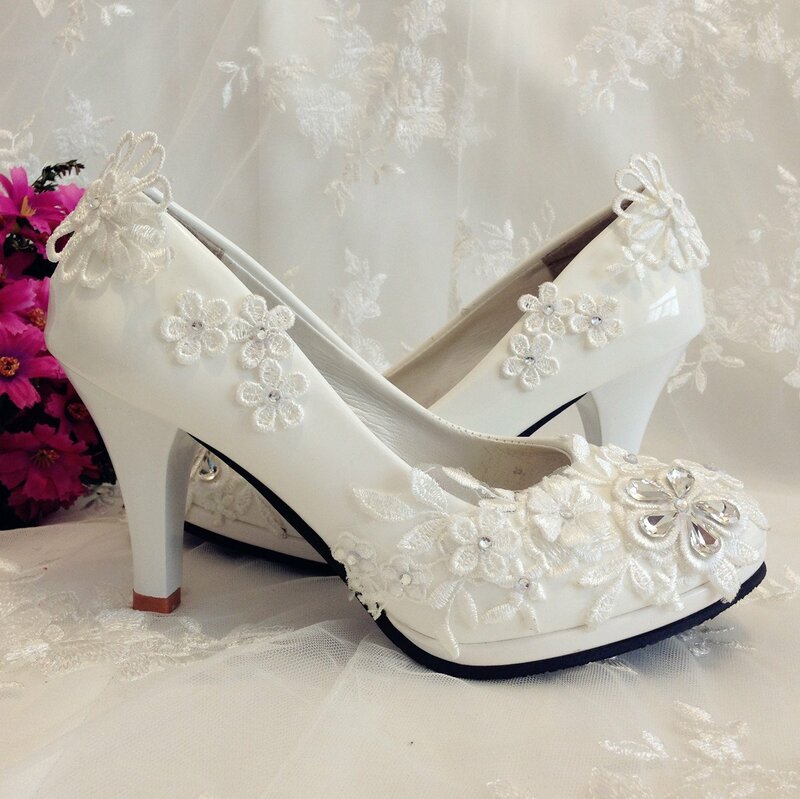 Look for a perfect design and color while buying the vintage wedding shoes here. 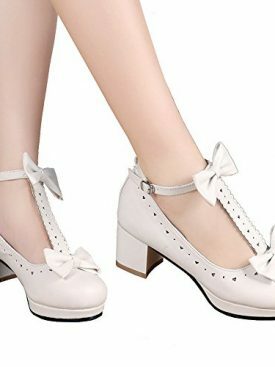 vintage sweet shoes Heel measures approximately 2" Platform measures approximately 0.6"
black and white pumps Heel measures approximately 4" Platform measures approximately 1"